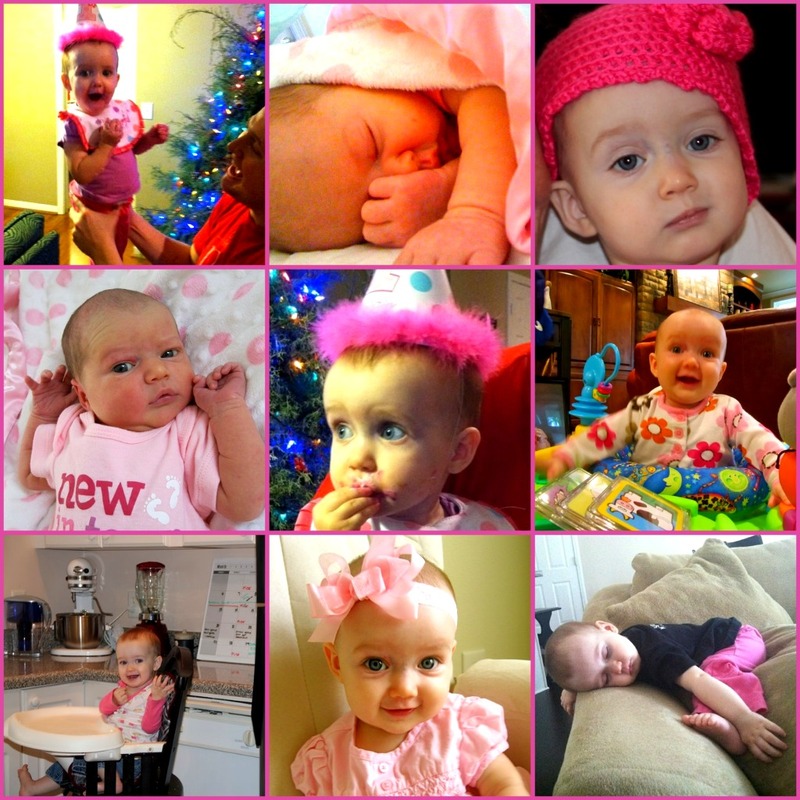 happy birthday to my sweet niece, adelynne joy! i knew her name. mary accidentally said it. i didn't know we were going to have the same middle name. she was born in the evening. FINALLY! her aunt elsie videoed the whole thing. she was a sweet girl right from the start. and continues to get sweeter every day. you know what else? she says anna. she isn't walking yet, only because she doesn't want to. we think cousin B might give her some pointers. she knows how to wave. gives her mom big kisses. we love this girl so much! we are so blessed to have her as a part of our family. Aw, thanks for the sweet blog post. I can't wait to reunite these two cousins! !